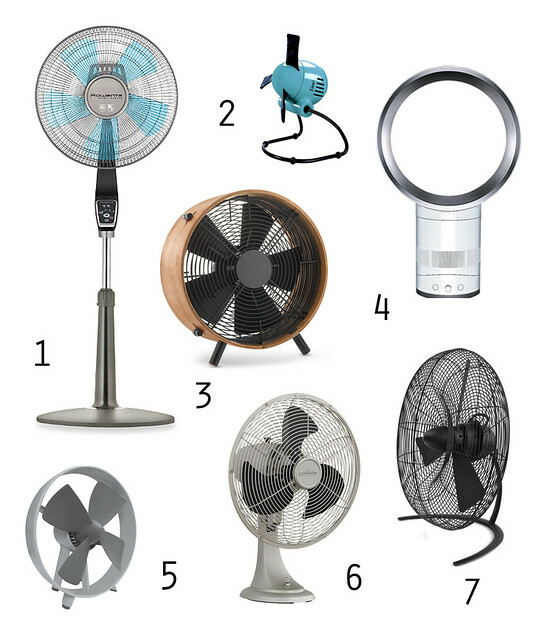 the temps have dipped, offering some relief - and an opportunity to (once again) research fan options. working from home, i've burned through a couple of less expensive options over the last 8 years. i'm looking now for something that will last. is easy to clean. and it should look good. size isn't too much of an issue. i want it to cool my workspace - which isn't very large. so - we ended up going with the otto fan. no.3 - which i found on amazon prime, so free delivery. (don't let the bad reviews dissuade you. i am very happy with it!) it is quiet, yet powerful enough to make a difference while i'm at my desk. it is easy to disassemble to clean. and it works so well with our decor. i had noticed that swanky fan in one of your instagrams. thought it must have been one of d's cool design upgrades, since i've never seen anything like it. glad you're starting to get some relief!